John Cale about “X for Henry Flynt” by La Monte Young: “In 1962, I was at Goldsmiths [College]. I was really wrapped up in writing pieces that were instructions. 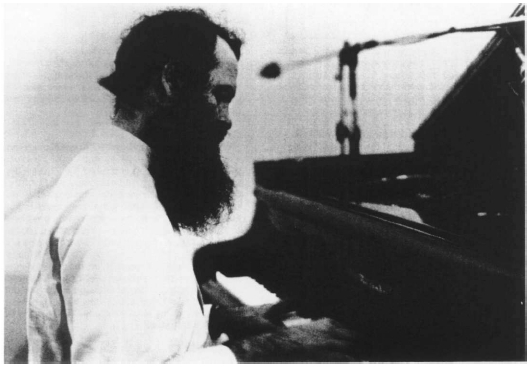 That’s when I found La Monte Young, and Cage, and “4’33″”, which threw another spanner in the works, because it was really about how environment impacts performance. This is a peculiar American thing that was very fractured, because in Europe, the concert was sacrosanct: silence, and you listen. But you don’t listen to Cage as much as you read him. If you read him in Silence, or A Year From Monday, you get a world outlook that’s very interesting. The walls of the concert hall were not the only thing that he was breaking down. We learned about discipline and working every day from La Monte, about not particularly forcing anything to happen, but allowing things to happen. I think Cage liked how La Monte was writing instructions for performers. That’s the original performance art. And those instructions didn’t just deal with performance or music. “X for Henry Flynt” was a piece where you pick an event and then you repeat it X number of times with the same gap in time between it. “Draw a straight line and follow it,” which was really about Einstein and space. If you draw a straight line and you come back to where you started, then space is finite. So you really didn’t know what’s performance and what’s not.